• Download the backup video to your local computer. Be prepared to use this as a backup if there are any internet or Livestream issues with the live message. • Have a techie on hand during the breakfast to troubleshoot. • Set up a laptop with an internet connection. You may wish to connect your laptop or computer to a large LCD or LED monitor. If there are many in the group, you may prefer to use a data projector. 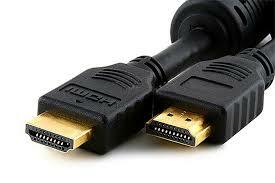 If using an HDMI cable this will include the audio. Note: If you wish to use an external amplifier for sound, this has to be set in your computer (otherwise the sound will default to the HDMI cable). 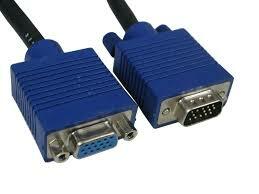 If you choose to use the VGA input instead, then the audio is usually through a miniature phone jack socket. 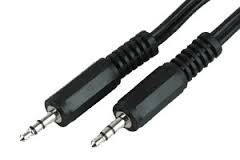 You will need a mini phone plug to mini phone plug lead to go from your audio out of your laptop into the PC audio on the LCD monitor. (a) Connect the monitor or projector via a VGA cable before you turn on your laptop. (c) Turn on the laptop. (d) Right click on your desktop screen and select “Properties” or “Personalise”. You want to get to “Display” but various operating systems arrange this differently. Get to a place where you can see the computer has detected two screens. In Windows 7 this can be seen under “Display/Screen Resolution”. (e) Select the second screen and adjust the resolution to suit your second monitor or projector. There may be a tick box which asks you to extend your desktop onto that monitor. If you have ticked that box, your desktop will extend to the right of your laptop monitor. The result is that any window you have open can be slid sideways to the right onto your monitor or projector, so the webinar screen can be moved over to the larger screen for all to see. In this case, the little square on the bottom right of the web video will toggle to make your screen full size. • You need to connect the audio output from your laptop into a suitable sound system. This may be some good computer speakers, or a PA system of some kind. Make sure you have the correct cables ahead of time.